Following more than two months of bloody clashes in the second largest city in Aleppo governorate, the predominantly Kurdish ‘Syrian Democratic Forces’ (SDF) managed to capture Manbij in its entirety. Mopping operations are ongoing as the Manbij Military Council prepares its official statement of the city’s liberation. With ISIS not willing to cede an inch, many civilians were taken hostage and put at risk of US Coalition airstrikes that have actually killed hundreds of civilians that were used as meat shields by the terror group. With Manbij under their iron grip, the SDF has placed its eyes on Al-Bab and Jarablus to further strip ISIS off its border territory and link up with their comrades in the Afrin Canton. Losing Manbij is one of ISIS’s most devastating defeats in both Syria and Iraq as it was the main hub for foreign jihadists joining the terrorist group, and was also a major hub for the notorious ISIS oil trade with Turkey. Long live Rojava and kurdish forces and with your victors, you broken off whole your enemies noses who they barking on you ! Lets hope this is the end game, God willing; and the west throws in the towel for the sake of the GOOD people of Syria. I dont get the limit for using words for, whats going on. Do I have to write nice guys and beloved famlies extra protecting the pregnat ones ?? Moderators don’t have time for all comments which leaves some comments eternally stuck in moderation. They have to manage many comments at multiple articles simultaneously. Can I write Jesus. My words about the victory was meant well. Nobody else but Jesus can walk at the water – eccept when its ice ?? Thats a famous story even if he ever existed or did. Actually Al-Bab will likely be easier to capture than Manbij. Manbij has a much higher population and had thousands of ISIS fighters. Al-Bab on the other hands has a much lower population as well as a lower number of fighters. Not to mention it is smaller. Kurds are proxy for US army. to the h**l with them. They defeated ISIS. May they defeat ISIS completely. Besides the majority of the fighters in the offensive were Arabs. 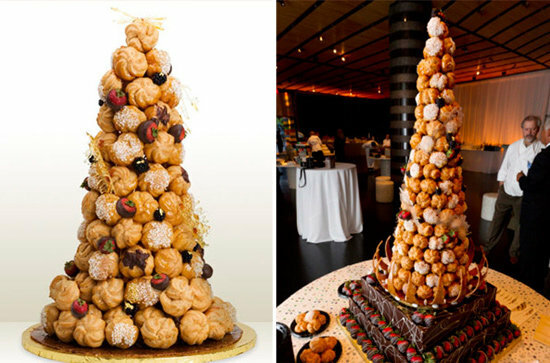 And the fatal weapon of mass dstruction against fanatical bigots : Croquembouche! Cancer sticks are an awful habit, anyway, and inconsiderate to others around you. If ISIS banned those, then that’s one thing that they actually got right.